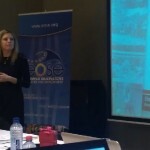 On the 09th and 10th of December 2010, the Annual EOSE General Assembly and Working Conference 2010 was held in Brussels (Belgium). The event gathered a mix of 50 representatives from 14 countries and provided an opportunity to present and discuss ongoing activities within the Sport and Active Leisure Sector, to focus on its realities, future opportunities and challenges around the Education and Training 2020 framework, the New Skills for New Jobs initiative, as well as to build partnerships and relationship across Europe. 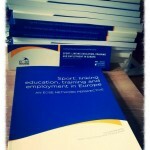 2 September 2014 Proud to introduce the first EOSE book!